To view a participant’s bio, please click on their name below. Jill Lenne has 38 yrs experience in tropical agricultural research, management & development, including 15 yrs with CGIAR institutes (CIAT and ICRISAT) and 8 yrs with UK-based institutes. She also has 18 yrs experience as a consultant in project and programme review and evaluation through short-term assignments (1 week to 3 months) in more than 30 countries in Latin America, Asia and sub-Saharan Africa. She has worked semi-arid cropping systems; horticultural especially vegetable systems; tropical rice systems; tropical fodder and crop/livestock systems; and tropical agro-biodiversity management. Holger Kirchmann has a degree in chemistry (Dortmund University), a biology education (Uppsala University) and a PhD in soil science (Swedish University of Agricultural Sciences, SLU). 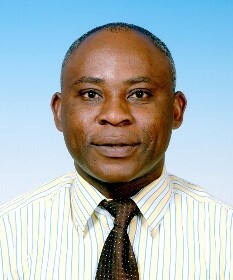 He received a professorship in Plant Nutrition and Soil Fertility at the Department of Soil and Environment, SLU, in 2003. His research includes nutrient turnover especially of nitrogen, phosphorus and trace elements in soil and changes in long-term soil fertility due to different fertilization regimes. Currently, research topics such as subsoil improvement, recycling of plant nutrients, placement of mineral fertilizers and selenium fertilization are addressed. 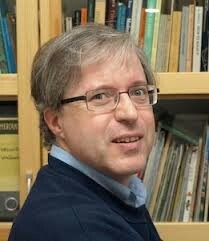 He teaches courses in plant nutrition, soil biology and soil sciences. Primal Silva is a veterinarian and a Ph.D. scientist with several years of postdoctoral training. He obtained his Ph.D. from the University of Sydney, Australia, and conducted his postdoctoral studies at McMaster University and at the Ontario Veterinary College, University of Guelph. He worked as an Assistant Professor at the University of Guelph before joining the federal public service in 1993 where he has held several positions with increasing responsibilities. Dr. Silva is substantively the Chief Science Operating Officer (CSOO) with management accountability for all 13 laboratories of the Canadian Food Inspection Agency. Prior to this he served as Executive Director of the CFIA’s Animal Health Science Directorate. As the CSOO, he is responsible for providing strategic leadership and ensuring sound management of CFIA’s 13 laboratories in order to deliver the Agency’s high priority needs in mandated science functions in Food Safety, Animal Health and Plant Health, including the daily operational continuity and stability of the Branch’s laboratory programs and services. He provides strategic leadership and manages the Agency’s research program, the CFIA’s science engagements with national and international organizations and is a contributing member to numerous committees and working groups at domestic and international levels. Dr. Silva is a contributing member to numerous committees and working groups at domestic and international levels, including the Scientific Advisory Body of the Organization for Economic Cooperation and Development (OECD). 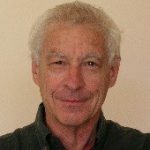 Victor Sadras has measured, modelled and developed theory on the water, nitrogen and carbon economies of annual (wheat, maize, oat, cotton, sunflower, soybean, pulses) and perennial crops (grapevine, olive) in rainfed and irrigated systems of Australia, Argentina, China and Spain. His current international network of scientific partnerships includes Universities (Nebraska, Kansas, Minnesota, Lleida, Helsinki, Buenos Aires, Austral Chile, North West A&F China, Cordoba Spain) and research organisations (CSIC Spain, FAO, INRA France, INTA Argentina, INIA Uruguay, ICRISAT India). His most important contributions to science are a conceptual model of crop yield accounting for ecological and evolutionary factors including genomic conflict, transitions in the units of selection and phenotypic plasticity, and advanced theory of resource co-limitation. He received an award from the Australian Society of Viticulture and Oenology for his experimental demonstration of thermal decoupling of sugar and anthocyanin in Syrah berries and wine. He was expert consultant with FAO on crop responses to water and yield gap analysis (2005-2015) and delivered the 2017 Elmer Heyne Distinguished Crop Science Lecture at Kansas State University. Sadras published 205 papers in peer-reviewed journals, returning 10,900 citations, and h-index = 61 (Google Scholar, July 2018). He is the co-editor-in-chief of Field Crops Research, and member of editorial boards of Irrigation Science (since 2013), Crop and Pasture Science (since 2009) and European Journal of Agronomy (2009-15). He is the senior editor of Crop Physiology (Academic Press), a book used in university courses worldwide, and lead author of “Yield gap analysis of rainfed and irrigated crops” FAO Water Report 41. 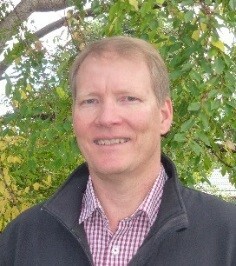 Tim Reeves has worked for over 50 years in agricultural research, development and extension, focussed on sustainable agriculture in Australia and overseas. He was a pioneer of no-till/conservation agriculture research when based at the Rutherglen Research Institute in NE Victoria. His professional career includes: Foundation Professor of Sustainable Agricultural Production, Adelaide University (1992-95) and Director General of the International Maize and Wheat Improvement Center (CIMMYT) based in Mexico (1995-2002). His other international roles have included: Member, United Nations Millennium Project Task Force on Hunger; and Member, European Commission Expert Group for Evaluation of Framework and H2020 Projects. He has also been a Senior Expert with the Food and Agriculture Organization of the United Nations (FAO) working on Save and Grow – sustainable intensification of smallholder agriculture – and in 2016 lead a FAO consultation in Cuba, on the development and adoption of Conservation Agriculture. He has recently returned from India (February 2018), where he chaired a review of the project ‘Sustainable and Resilient Farming Systems Intensification in the Eastern Gangetic Plains’ for ACIAR. He has chaired or participated in many other scientific reviews, including for: FAO; the Bill and Melinda Gates Foundation; Government of India; MLA and Dairy Australia. 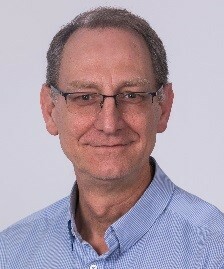 Professor Reeves has been a Board Director of GRDC; the Future Farm Industries Cooperative Research Centre (CRC); the Molecular Plant Breeding CRC; and of FAR New Zealand. He is currently Board Chair of FAR (Foundation for Arable Research) Australia and a Board Director of the Crawford Fund. 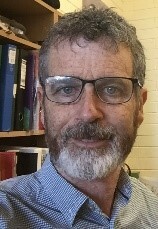 Tim is now Professor in Residence at the Dookie Campus of the University of Melbourne, where he has also been recognised as a Centenary of Agriculture Medallist. In December 2016 the University awarded him a Doctor of Agricultural Science honoris causa. Tim is also a former President of the Australian Society of Agronomy and in 2017 the Society awarded him the prestigious Professor C M Donald Medal for lifetime achievement. He is currently a Fellow of the Academy of Technological Sciences and Engineering, where he is also Chair of the Academy’s Agriculture Forum. He is an Honorary Professor in the Chinese Academy of Agricultural Sciences. In 2003 he received the Centenary of Federation Medal. He is also Director and Principal of Timothy G. Reeves and Associates. Pty. Ltd., specializing in national and international consulting in agricultural research. His main areas of current focus are on global food security and the sustainable intensification of agriculture and farming systems. Kathy Ophel Keller is the Research Chief, Sustainable Systems Research Division, SARDI. Sustainable Systems Division covers SARDI research in cropping, viticulture and horticulture systems. It comprises science programs in Plant Health and Biosecurity, Entomology, Soil Biology and Diagnostics, New Variety Agronomy and Crop Improvement Science Areas, Climate Applications as well as Water Resources, Viticulture and Irrigated Crops. The Division assists the South Australian crop sectors by breeding and evaluation of new varieties, improving crop agronomy and providing practical and productive ways to maintain production by managing risk from SA’s variable and changing climate, plant diseases and pests. Dr. Ophel Keller is a recognised expert at an international and national level in development and utilisation of DNA technology to monitor organisms in complex environments such as soil. Over the past 15 years, Dr. Ophel Keller has been involved in the development and delivery of unique technology to measure plant pathogens in soil, including the development of PredictaPT to assess the risks of potato soilborne pathogens prior to planting a crop. 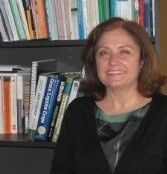 M. Inés Mínguez is Full Professor of Crop Ecology and Agronomy of the Technical University of Madrid (UPM) since 1991. 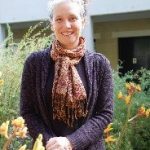 She has also worked at the University of Córdoba, Spain (13 years), at The Grassland Research Institute, UK (1 year), and at The University of Melbourne and Horsham Dept of Primary Industries, Australia (1year). Her research started in nitrogen fixation of grain legumes then extended to the role of legumes in crop rotations focussing on water stress and water use that resulted in the construction of faba bean crop model. During that time she also coordinated reports in the 1990s on projected irrigation requirements under climate change for the National Hydrological Plan of the Spanish Ministry of Infrastructures, and later focussed on the uncertainties linked to impact evaluations and adaptations and tools for defining new adapted cultivars to future conditions across Europe. More recently she has applied yield gap analysis to yield insurance design in cereals and participates in the International Network TempAg. At present she is exploring new cropping system approaches in a European-wide project and is much interested on food security and the need to consolidate studies at territorial scale. 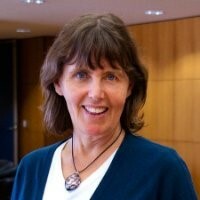 She has been principal researcher and researcher in 25 projects; has 85 published references and 10 book chapters. She has undertaken national and international consulting, worked for the European Commission at DG-Research and is currently on the Governing Board of FACCE-JPI, on “Agriculture, Food Security and Climate Change”. She was Director of CEIGRAM (Research Centre for the Management of Agricultural and Environmental Risks, UPM) and is currently its Deputy-Director. Renee Lafitte works at the interface of crop ecophysiology and crop improvement, with the goal of improving the resilience of crops and cropping systems to abiotic stress. She received a M.Sc. in Agronomy and Ph.D in Crop Physiology from the University of California, Davis. Renee began field phenotyping for stress tolerance in 1985 at the International Center for Maize and Wheat Improvement (CIMMYT) in Mexico, using managed drought and low-nitrogen environments in breeding programs. She also developed and delivered courses in on-farm research for breeders and agronomists from partner countries in Latin America, Africa, and Asia. 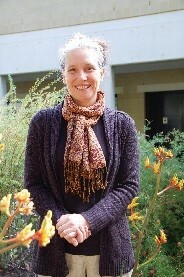 In 1995, she was employed at the International Rice Research Institute (IRRI) in the Philippines, where she was responsible for field-based and greenhouse phenotyping to assess genetic variation in rice drought response, including approaches of QTL analysis, gene expression profiling, and studies of inheritance. She also served as team leader for IRRI’s project on genetic enhancement for improving productivity and human nutrition in fragile environments, working closely with national program collaborators and students to advance applied research goals. Renee joined DuPont Pioneer in 2005, with responsibility for developing high-throughput field evaluation of novel transgenic corn lines with greater yield stability under drought and nutrient stress. She was named a Pioneer Research Fellow in 2011 and a DuPont Fellow in 2014. Renee is based at Pioneer’s North American managed stress site in Woodland, California. 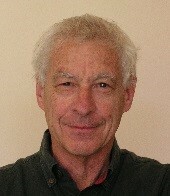 Peter Langridge is Emeritus Professor at the University of Adelaide, Australia. Peter established the Australian Centre for Plant Functional Genomics (ACPFG) and was appointed Chief Executive Officer in 2003. 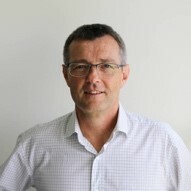 In 2014 Peter resigned as CEO of ACPFG to focus on his role on the boards of several research organisations in Europe, North America and in developing countries. Peter’s interests have focused on the role of modern technologies in crop improvement with a particular focus on the importance of science, education and collaboration in helping to improve agricultural productivity. Martin Kropff joined CIMMYT as Director General in 2015, after working at Wageningen University and Research Center (Wageningen UR) in the Netherlands, where he was Rector Magnificus and Vice Chairman of the Executive Board for almost 10 years. He earned bachelor’s and master’s degrees in biology at Utrecht University in the Netherlands and a Ph.D. in agricultural and environmental sciences at Wageningen. From 1990 to 1995, Kropff was the systems agronomist at the International Rice Research Institute (IRRI) in the Philippines where he led an international program with National Agricultural Research Systems and Universities in nine Asian countries on systems research and simulation for rice production. 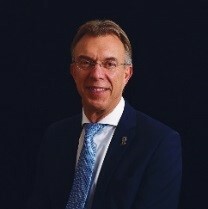 Since 1995, he has served successive roles at Wageningen UR, including as Professor and Director General of the Plant Sciences Group and on the Executive Board. He is still connected to Wageningen UR as a Professor. From 2013 to 2015, he was a member of the Board of Directors of CGIAR, the 15-member consortium of international agricultural researchers to which CIMMYT and IRRI belong. He chaired the new System Management Board of the reformed CGIAR from 2015 to 2017 and he is still a member. 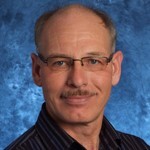 Richard Gray joined the University of Saskatchewan in 1990 after completing his PhD in Agricultural & Resource Economics from UC Berkeley. Over time his policy research has increasingly focused on various aspects of agricultural research and innovation systems. From 2003 to 2013 he led the Canadian Agricultural Innovation Research Network. Richard is a Fellow of the Canadian Agricultural Economics Society. 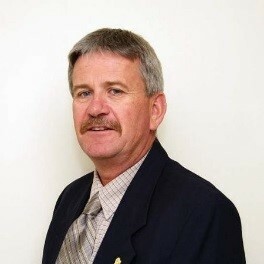 He currently holds the grain Policy Research Chair and regularly provides advice to farm organisations and government regarding innovation policy. His active engagement in the family grain farm continues to provide first-hand experience with agriculture. Tony Fischer came from a wheat and sheep farm near Boree Creek in southern New South Wales, Australia, a commercial operation in which he was involved for over 50 years. He completed degrees in Agricultural Science at the University of Melbourne before pursuing a PhD in plant physiology at the University of California, Davis, USA. He worked as a crop agronomist and physiologist for the NSW State Department of Agriculture and at CSIRO, and in the same capacity at CIMMYT, Mexico, from 1970 to 1975. He later returned to CIMMYT as Wheat Program Director (1988–95), following which he was a program manager in crops and soils at the Australian Centre for International Agricultural Research (ACIAR) in Canberra, Australia. He is now an Honorary Research Fellow at CSIRO Plant Industry, also in Canberra. His research publications in plant and crop physiology and agronomy are widely cited. He has served on several International Center Boards of Trustees as well as the Board of Australia’s Grains Research and Development Corporation (GRDC), and has travelled widely in the grain cropping regions of the world, especially those of Asia and Latin America. 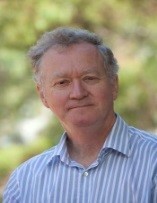 He has received many awards for contributions to crop science, including the Colin Donald and William Farrer medals, and Fellowships of the Australian Institute of Agriculture, the Australian Academy of Technological Sciences and Engineering, and the American Crop Science and Agronomy societies. In 2007 he was elected a Member of the Order of Australia. 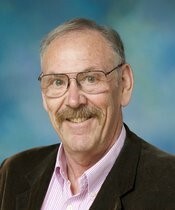 Ford Denison earned a Ph.D. in Crop Science from Cornell, and worked for USDA as a Plant Physiologist before joining the department of Agronomy and Range Science at UC Davis. There, he directed the first ten years of a long-term experiment now in its 24th year, taught Crop Ecology, and did basic and applied research on the legume-rhizobia symbiosis. In 2005 he joined the University of Minnesota, where he advises a three-site long-term experiment and continues laboratory and field research mostly on nitrogen fixation and on links between evolution and agriculture. 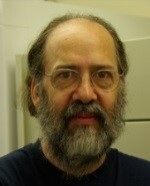 He has published in Nature, Science, Proceedings of the National Academy of Sciences, Proceedings of the Royal Society, Philosophical Transactions of the Royal Society, American Naturalist, Evolution, and Journal of Evolutionary Biology, in addition to multiple publications in Agronomy Journal and Field Crops Research. An article and subsequent book on Darwinian Agriculture led to a series of five lectures at the International Rice Research Institute, the agriculture keynote at the Applied Evolution Summit, and CGIAR’s Science Forum 2011. 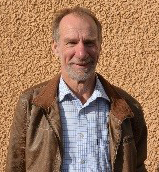 David Connor is Emeritus Professor of Agronomy in the Faculty of Veterinary and Agricultural Sciences of The University of Melbourne, Australia, and Research Associate of CEIGRAM de La Universidad Politécnica de Madrid, Spain. His area of expertise is in agronomy, crop physiology and crop ecology. 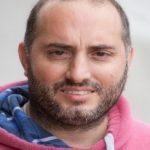 He currently works in canopy management and modeling of olive orchards, reviews research papers for various scientific journals, and offers consultancy in agronomy, resource management and research for agricultural development. Professor Connor is active in professional societies. He has served as President of the Australian Society of Agronomy and of the Victorian Branch of the Australian Institute of Agriculture. 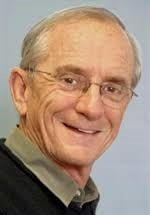 He is a Fellow of the Australian Institute of Agriculture (1988) and “Donald Medalist” (2003) of the Australian Society of Agronomy for outstanding contributions to research. During the period 1994–2001 he was Editor-in-Chief of Field Crops Research. Professor Connor has traveled widely and has also undertaken research and development projects in Kenya, Philippines, Bangladesh and Mauritania. 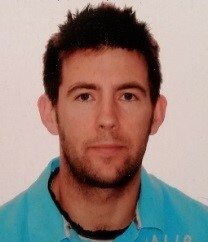 He has also held visiting appointments in research and/or teaching in USA, Colombia, China, Argentina and Spain. During his career he has published over 100 papers of original research. He is also author, with Professor R.S. Loomis (University of California) and Professor K.G. Cassman (University of Nebraska), of the recently (2011) revised major textbook, “Crop ecology: productivity and management in agricultural systems” (Cambridge University Press). The book has been translated into Japanese, Spanish and Chinese. 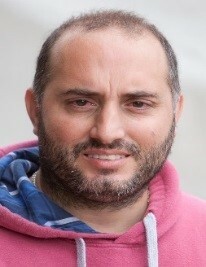 Pedro Aphalo studied agricultural engineering, with specialization in crop breeding, at the University of Buenos Aires where he also completed his M.Sc. in plant production. He was awarded a PhD by the University of Edinburgh. He held university lecturer positions both in Statistics and Environmental Metrics (University of Jyväskylä) and Plant Physiological Ecology (University of Helsinki). He currently leads the lab Sensory Photobiology and Ecophysiology of Plants at the University of Helsinki and holds a docentship in Physiological Plant Ecology at the University of Eastern Finland. He is communications officer of the UV4Plants scientific association and the editor-in-chief of the UV4Plants Bulletin. His core research in photobiology focused on whole-plant physiology, early with both ornamentals and wild native plants, and currently with trees and more ecologically and environmentally oriented questions. His recent work with highest impact has been related to the study of sunlight perception and signalling using state-of-the-art molecular methods such as RNAseq in plants grown or exposed outdoors. 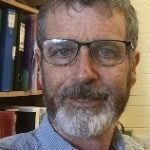 Peter Appleford was appointed to lead the South Australian Research and Development Institute (SARDI) in June 2017. Peter is responsible for the executive management and oversight of the South Australian government primary industries research capability, investment and delivery. SARDI delivers robust scientific solutions to support sustainable and internationally competitive primary industries. 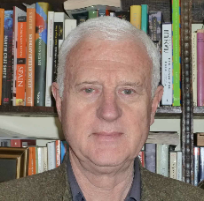 Dr. Peter Appleford is a science graduate of the University of Melbourne, holds a PhD (Science) from James Cook University and is a member of the Institute of Public Administration and Australian Institute of Company Directors. He has spent nearly two decades as a senior leader in key Victorian Government agencies including the Department of Primary Industries and the Department of Sustainability and Environment. Peter is a highly-respected public sector executive with experience in implementing change while driving integrated and improved performance. He is proficient at delivering legacy-style change. He applies his four-fold technical expertise – driving change, delivery improvement, integration and leadership – to maximum impact within challenging and complex environments. Peter brings his visionary and energetic leadership style to inspire and drive better business outcomes. He applies decisive action and sound judgement to deliver value to SARDI’s objectives, their highly skilled people, stakeholders and the wider community. Julian Alston is a distinguished professor in the Department of Agricultural and Resource Economics at the University of California, Davis. 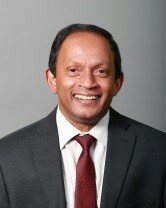 He is a Fellow of the Agricultural and Applied Economics Association, a Distinguished Fellow of the Australasian Agricultural and Resource Economics Society, a Distinguished Scholar of the Western Agricultural Economics Association, a Fellow of the American Association of Wine Economists, an Honorary Life Member of the International Association of Agricultural Economists, and a vice-president of the Beeronomics Society. Alston is an agricultural economist known for his work on the economics of agricultural and food policy. Recent projects have emphasized science & technology policy and the economics of agricultural innovation; and food & nutrition policy, and the global challenges of poverty, malnutrition, and obesity.